This mid century modern chair has new life! 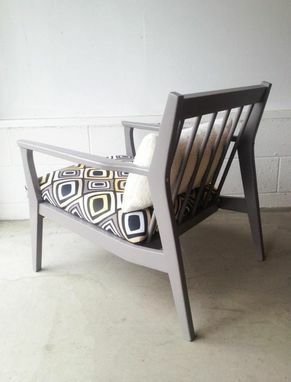 New paint and a reupholstered seat bring this beautifully structured chair up to date. 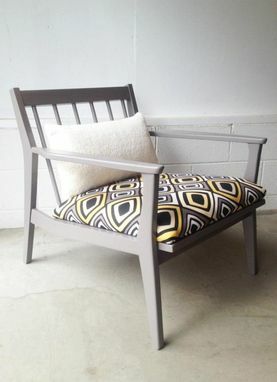 The geometric pattern paired with a faux sheep skin pillow is the perfect blend of masculine and feminine. Pillow IS included!